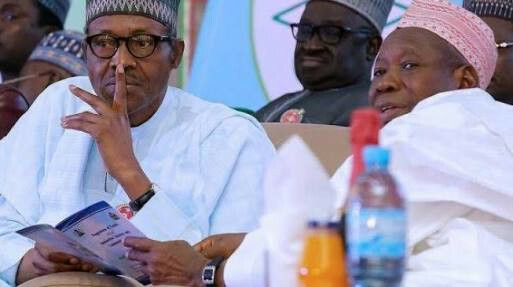 President Buhari has dismissed claims that his association with Governor Abdullahi Ganduje of Kano has diminished his commitment to the war against corruption. In a statement released by his media aide, Garba Shehu, President Buhari said that there is a difference between perception and reality. According to the statement, which followed comments after the proclamation by President Buhari of Dr Abdullahi Umar Ganduje as the governorship candidate of the All Progressives Congress, President Buhari cited a number of high profile prosecution of senior government officials that a former Secretary to the Government and a former state governor who is a party member and now serving term in jail as indications of will and determination to wage the anti-corruption war without fear or favour. The statement also added that the Executive Secretary of the National Health Insurance Scheme, Prof. Usman Yusuf, is currently on administrative leave as part of President Buhari’s commitment to transparency and accountability. The statement explained that despite some of the suspects being close to the President, he had not shielded them from investigation, administrative suspensions and prosecution. The Presidency added that it is sheer mischief to suggest that President Buhari is shielding anybody because of their closeness to him, explaining that no official under this administration would go unpunished once they break the law. On the specific issue of Governor Ganduje of Kano State, the statement noted that Dr. Ganduje, as a sitting Governor, enjoys immunity from prosecution in his own right. Furthermore, under Nigerian laws, a suspect is presumed innocent until proven guilty in a court of law. In the circumstances, the matter is in court and the President has no power to dictate to the court or the Kano State House of Assembly, which is already investigating the matter, about what to do with the allegations against Ganduje. The Presidency added that it is unfair to ignore the larger picture of the President’s major successes in the war against corruption, including blocking leakages of corruption, which in turn, boosted government revenues. The statement challenged President Buhari’s critics to prove that those facing corruption allegations are innocent, adding that the President’s zero tolerance for corruption has boosted and remarkably improved Nigeria’s image in the eyes of world leaders.